The first game went to Brooklyn, who went up by double-digits in the second quarter and just never looked back. They played like they belonged in the postseason, despite not clinching their spot until the final week of the regular season. Philly, on the other hand, was burdened by foul trouble, as Redick wasn’t able to stay on the floor much. They could not find the right defensive lineups, and they struggled to grab rebounds and get stops in the game’s biggest moments. The Philadelphia 76ers are -7.5 and the total for this game is listed at 225 on Monday. Looking back at game one, it seemed that early foul trouble to Jarrett Allen could doom the Nets. They needed him in the game to handle Joel Embiid out there. Well, despite him picking up three early ones, all was well. In 25 minutes off the bench, handling a lot more minutes than he expected to, Davis finished with 12 points and 16 rebounds, playing some huge defense. The Nets also got big performances from Dinwiddie (18 points) and Caris LeVert (23 points) off the bench. Their reserves were acting like starters. 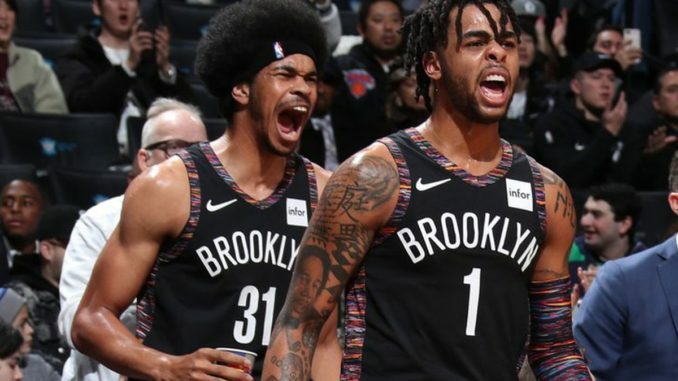 The defense was a huge key for Brooklyn in the opening game, as they held Philly below 30 points in all four quarters while going for 30+ in three quarters themselves. In the final frame when their offense only put up 18, their defense kept the Sixers to just 20. If they can repeat their performance on that end of the floor, they will have a good shot at a potential 2-0 lead. Though they only lost by nine points, nothing truly went right for these guys last time out. The offense was never able to get going, and their starting back-court posted just 14 points. JJ Redick found himself in foul trouble from the opening tip, while Ben Simmons could not handle playoff pressure for the second year in a row. He also called out the fans for booing the Sixers, which is just part of the game and he needs to deal with it. Embiid only being able to play in four-minute stretches took them out of rhythm, and though he had 22-15-4 in his 24 minutes, it also hurt the team. Jimmy Butler seemed to be the only one that truly came to play all game. He logged 39 minutes and shot lights out. He put in 36 points while grabbing nine rebounds. In his first playoff game here, Tobias Harris managed just 4-7-6. They need him to be a scorer, and considering he scores 20 per game, that was horrible. They played Mike Scott 32 mins off the bench and he was extremely unproductive. Be sure you bet BKN +8.5! The Sixers struggles from the first game won’t just disappear, and any mistakes made by Simmons will likely lead to more boos. The Nets will keep on fighting, and if they don’t win, they will lose by less than eight. This is going to be an exciting series.